ABEYANCE. To withhold further activity. ACCELERATION CLAUSE. A clause in contracts of debt which makes the entire amount due upon the debtor's default. ACCORD AND SATISFACTION. An understanding or conciliation between two or more adversarial parties, which addresses and resolves a dispute, obligation, claim or lawsuit. ACKNOWLEDGEMENT. 1) A letter from an attorney which advises that a collection claim or legal matter was received. 2) A written statement by a Notary Public that a person signed a legal document (most commonly used on a deed for the transfer of real property). ACTION. A word commonly used synonymously with a lawsuit. ADJUDICATION. A pronouncement or decree, rendered by an official of the judiciary; an award or judgment. ADMINISTRATOR. One appointed by the court to manage and distribute an estate where the decedent has not left a will, or where for some reason an executor has not been appointed or qualified under the will. ADVANCEMENT OF COSTS. An outlay of funds to cover some actual expenses of legal action. Costs will vary jurisdiction to jurisdiction and action to action. Initial legal expense may consist of: 1) COURT COSTS, covering the filing of complaint, initial attempts at service of summons and, if required, a security bond. If not exhausted by preliminary expense, court costs may also be applied to post-judgment remedies: executions, writs and citations. 2) SUIT FEES, representing payment to the attorney for his/her services in the lawsuit. AFFIANT. An individual who executes an affidavit. AFFIDAVIT. A written statement of facts signed under penalty of perjury or before a notary public. AFFIRMATIVE DEFENSE. A statement set forth in the defendant's answer to a plaintiff's complaint which recites facts which, if proven true, would excuse the defendant from some or all obligation owed to the plaintiff. AGENT. A person authorized by another, i.e. the principal, to act for him. ALLEGATION. A declaration made, but not yet substantiated. In a court of law, an assertion or contention presented by plaintiff or respondent, the merit of which is dependent on evidence subsequently presented. AMEND. To alter, by addendum or modification, an existing document or action. AMOUNT OUTSTANDING. The amount owed, including any previous balance due, cash advances drawn, and merchandise purchased within the billing period, plus finance charges. Deducted from this total are any payments and/or merchandise returned. ANSWER. A response to a complaint in a lawsuit. Depending upon the court, an answer may be oral or written. Usually an answer admits or denies each allega-tion in the complaint and may allege affirmative defenses. APPEAL. The process of a higher court reviewing the decision of a lower court. Depending upon the court, an appeal may be by trial de noveau (new trial) or a review based upon the record of the lower court. APPEARANCE. The presence of the plaintiff or defendant, represented by agent or pro se, in a court room. APPLICATION FORM. Form required by a credit organization providing credit information about the applicant. It serves as the basis for a credit check and final approval. ARBITRATION. An informal trial to resolve a dispute before a neutral party or parties (arbitrators) who hear testimony, apply the law and render a decision. Arbitration may be mandatory (required by law or contract) or non-mandatory. It may be binding (no right of appeal) or non-binding (right of appeal is reserved). ASSETS. The resources and/or property in the possession of an individual or business entity. ASSIGNEE. A term used to describe a person or entity to whom property rights of another person have been assigned. ASSIGNMENT. A word used to describe the legal and voluntary transfer of one person's title or rights in property to another person or entity. ASSIGNMENT OF CLAIM. A transfer to an assignee of an obligation owed to the assignor by a third party and the right to collect the obligation. In some states if a claim is assigned to an assignee who then files suit in the assignee's name, this may preclude the defendant from requesting a non-resident cost bond, from asserting certain defenses and from proposing certain discovery. ASSIGNMENT FOR THE BENEFIT OF CREDITORS. A voluntary transfer, by an insolvent debtor, of all property and assets to a neutral third party. A distribution of liquidated assets is then disbursed to secured and unsecured participants/creditors. It is, in essence, a voluntary bankruptcy without the expense or intervention of the Federal Court. ASSIGNOR. One who transfers or assigns rights and/or property to another. ATTACHMENT. A legal seizure of assets by an officer of the court pursuant to a judgment rendered, or court order. ATTORNEY-IN-FACT. An individual or business entity authorized, by a written Power of Attorney, to act for another. AUTHORIZED SIGNATURE. The signature(s) of those people who assume responsibility for payment of the account. AUTOMATIC STAY. An injunction that automatically stops lawsuits, foreclosure, garnishments, and all collection activity against the debtor the moment a bankruptcy petition is filed. AWARD. A decision or result in favor of the claimant. BANKRUPTCY. A uniform system under the Federal bankruptcy code whereby a person or other legal entity can 1) reorganize debts and pay creditors over a period of time or 2) turn over all non-exempt assets to be administered by a trustee under the control of the bankruptcy court for the benefit of the creditors in exchange for a release from any further liability to the creditors. There are four common types of bankruptcy. 1. CHAPTER 7: Straight liquidation - the company, corporation, partnership or proprietorship closes; current and fixed assets are liquidated and the proceeds are distributed among the creditors according to set priorities as satisfaction of outstanding obligation. Can also be filed by an individual. 2. CHAPTER 11: This is a reorganization proceeding where the debtor tries to rehabilitate its financial structure. The creditors are paid pursuant to a court-approved plan of arrangement in an amount no less than would have been received in a Chapter 7 proceeding. 3. CHAPTER 12: Protection specifically designed for the family farmer petitioning for reorganization. Debts may not exceed $1,500,000.00 (exclusive of principal residence). 80% of debt must have been incurred by farming operations and an excess of 50% of the petitioner's income during the last taxable year must have been generated by farming. 4. CHAPTER 13: This is a reorganization proceeding for individuals with a regular source of income (formerly called a wage earner's plan) who have undisputed debts of less than $100,000 unsecured and $350,000 secured. The creditors are paid pursuant to a court-approved plan of arrangement in periodic payments over a set period of time (usually 3 years). They are paid in an amount equal to a pro-rata share of debtor's disposable earnings over the life of the plan but in no event less than what would have been received in a chapter 7 proceeding. It allows the wage earner to keep assets that might otherwise be liquidated in a Chapter 7. The bankruptcy case (called an estate) is administered by a court-approved trustee. In a chapter 11 proceeding the estate is generally administered by the debtor, called a debtor-in-possession (DIP), who has all of the power of the trustee. BANKRUPTCY ADMINISTRATOR. An officer of the judiciary serving in the judicial districts of Alabama and North Carolina who, like the United States trustee, is responsible for supervising the administration of bankruptcy cases, estates, and trustees, monitoring plans and disclosure statements, monitoring creditors committees, monitoring fee applications, and performing other statutory duties. BANKRUPTCY CODE. The informal name for title 11 of the United States Code (11 U.S.C. § 101-1330), the federal bankruptcy law. BANKRUPTCY TRUSTEE. A private individual or corporation appointed in all chapter 7, chapter 12, and chapter 13 cases to represent the interests of the bankruptcy estate and the debtor s creditors. BAR RATES. Legal commissions charged or mandated in certain geographic locations. BENCH WARRANT. A directive, issued by the court, ordering the arrest of a subpoenaed individual who has ignored a previous judicial order. BILL OF EXCHANGE. A written order, which may be negotiable or non-negotiable, directing one party to pay a certain sum of money to him or a third party. BILL OF LADING. A receipt and contract issued by a common carrier for the shipment of goods. BILL OF PARTICULARS. A request by a party in a lawsuit requiring the other party to provide a more detailed explanation of the facts in that party's complaint. This is also referred to as a request for a more detailed statement. BILL OF SALE. A written instrument by which one transfers his rights or interest in chattels and goods to another. BRIEF. A written document filed in court which sets forth the questions (issues) before the court, a statement of the case (the facts), the applicable law, the discussion of the parties filing the brief incorporating the issues, facts and law and a conclusion. There are trial briefs and appellate briefs. Trial briefs are filed either before or after trial to guide the court in rendering a decision. Appellate briefs are filed with the appeals court in support of an appeal or in response to the other party's appeal brief. BULK SALES LAW. This is a statutory law which varies from state to state. It does not apply in all states. The law's purpose is to ensure that when a business is sold, the creditors of the existing business are notified of the sale. In some states the law requires that the proceeds from the sale be actually distributed to the creditors. The law generally applies only when there is a transfer of inventory. BULK TRANSFER. The transfer of inventory or trade fixtures or a major portion thereof not in the ordinary course of business. CAUSE (OF ACTION). Factual allegations in a suit or complaint setting forth a claimant's right to recover. CAVEAT EMPTOR. Let the buyer beware (Latin). In the absence of a warranty, a buyer purchases goods at his own risk, unless the seller is guilty of fraud. CERTIORARI. A writ of a higher court issued to a lower court directing the lower court to transmit its proceedings for review. 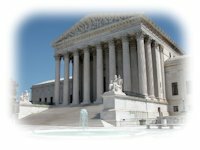 In most cases, the U.S. Supreme Court requires an application for certiorari to be made to it before it will hear an appeal from a lower court. CHARGE-OFF. Method for writing off bad debt losses due to bankruptcy, death, or inability to repay the debt. CHATTEL. Any type of personal property as distinguished from real property. CHATTEL MORTGAGE. A written agreement giving a lender an interest in the personal property of a borrower to secure payment of an obligation. This is a term and form of an agreement utilized prior to the enactment of the Uniform Commercial Code. CLAIM. An account for money due that has been placed by a credit grantor with a collection agency for collection. CLAIMANT. Person filing a claim. Also called petitioner or plaintiff (see CLIENT). CLOSING LETTER. A letter sent by the attorney to the creditor or its agent, advising that the attorney is closing his file and stating the reasons for termination of collection efforts. COMMERCIAL CLAIM. A claim which arises from an obligation to pay for goods sold or leased, services rendered, or monies loaned, for use in the conduct of a business or profession. COMMISSION. The compensation payable by a creditor and earned by a receiver for effecting collection of a claim, in whole or in part; it is normally contingent and computed as a percentage of the sum collected. COMPLAINT. Generally a written document (pleading) filed by a plaintiff to initiate a lawsuit. The complaint usually consists of a statement of jurisdiction (when required), factual allegations (causes of action) and a statement of what relief is requested (prayer for relief). COMPOSITION SETTLEMENT. An agreement between a debtor and his creditors whereby the creditors agree to accept payment of a lesser sum in full satisfaction of their claims. This is an out of court settlement that operates as a functional equivalent to a chapter 11 bankruptcy plan of arrangement. COMPROMISE. A mutually agreed upon adjustment on an account, effected to expedite the resolution of a dispute or prompt payment. CONDITIONAL SALE. An installment sale in which the goods are delivered to the buyer, but title remains with the seller until payment is made for the goods. CONFESSION OF JUDGMENT NOTE. An executed document permitting its holder to pursue the maker, through the entrance of uncontested judgment, should the debtor default on a payment schedule. A confession of judgment note leaves the debtor in an indefensible position but is not recognized in some states. CONFLICT OF INTEREST. When the attorney cannot handle the case sent to him, usually because he represents the debtor on other cases or for personal reasons. CONSUMER CLAIM. A claim which arises from an obligation to pay for goods sold or leased, services rendered, or monies loaned for household, personal or family use (the debtor is an individual). CONSUMER CREDIT. A general term used to describe personal loans, personal finance, installment loans or revolving credit that is extended to individuals or small businesses. Usually there is a monthly repayment schedule. CONTEMPT OF COURT. A finding by a judge that a person has violated a court order or is guilty of conduct before the court calculated to disrupt the proceedings of the court. CONTINGENT FEE. Compensation earned by an attorney or agent which is payable only upon the occurrence of an event which is usually the collection of money in behalf of the client. The contingent fee is usually computed as a percentage of the amount collected. CONTINUANCE. A mutually agreed upon postponement or temporary adjournment of a pending court action. CONTRACT. An agreement, either written or oral between two or more parties which defines the obligations and liabilities of the parties. CONVEYANCE. The transfer of an interest in realty; a deed. May sometimes include leases and mortgages. CORPORATE VEIL (CORPORATE SHIELD). A legal term referring to the separation between a shareholder and a corporation. The term refers to the fact that a shareholder is not liable for the debts of the corporation. CORPORATION. A legal entity which has its own individuality, in accordance with local law, separate and distinct from its members, directors and incorporators. COST ADVANCE. A sum of money advanced by the creditor to the receiving attorney as a fund from which court costs are to be expended. COUNTERCLAIM. A complaint by a defendant against the plaintiff in a currently pending lawsuit whereby the defendant is seeking affirmative relief against the plaintiff rather than simply asserting a defense against the plaintiff's claim. COURT COSTS. See Advancement of Costs. COVENANT. A promise made by one person to another. CREDITOR (CREDIT GRANTOR). Any party to whom money is owed by another. CREDITORS' COMMITTEE. A voluntary group, representative of the creditors of record, prevalent in Chapter 11 bankruptcies, installed and formed to examine the affairs and ongoing function of an insolvent debtor company. A neutral body organized to monitor, advise and ensure an equitable return to creditors. CROSS-COMPLAINT. A cause of action filed by a Defendant against a co-defendant in the same lawsuit. See also Counterclaim. DEBTOR. An individual, firm, partnership or corporation who owes money. DEFAULT. The failure to perform in accordance with an agreement, observe a promise, fulfill an obligation or discharge a duty. DEFAULT JUDGMENT. A judgment granted when the defendant fails to respond or appear. DEFENDANT. The subject of a court action, against whom relief or recovery is sought through suit. DEFENSE. The formal response by the adversary in a court of law. An argument attempting to justify the defendant's position. DEFUNCT. A description of a business, no longer operational, lacking resources and/or assets. DEMAND LETTER. A letter by an attorney addressed to a defendant or debtor advising of the attorney's representation of the plaintiff or creditor and requesting payment or performance of some obligation. DENIAL. A response by a defendant in a lawsuit to the factual allegations of the plaintiff's complaint. The effect of a denial is to require the plaintiff to prove his allegations. DEPONENT. A person who is required to appear for a deposition and give sworn testimony. DEPOSITION. Oral testimony taken under oath in preparation for trial for the purpose of discovering evidence concerning the issues to be tried; or, in a post-judgment deposition, testimony taken under oath for the purpose of discovering assets to satisfy a judgment obtained by a creditor. DISCHARGE. A term which refers to an order entered in a bankruptcy case, the effect of which is to relieve a debtor from having to pay any debt or obligation which is subject to the order of discharge. DISHONOR. The nonpayment of a negotiable instrument on its due date. DISMISSAL. Cessation of judicial consideration; termination of court action. DISTRIBUTION. Dividend payments made to creditors, who have duly filed claims and are acknowledged by the trustees, executors, assignees or administrators of an insolvency proceeding. DRAFT. A mode of currency exchange; a written order for the payment of money drawn by one person or bank on another. ESCROW. The delivery by a grantor of a deed or of personal property to a third person for delivery to the grantee upon the happening of certain conditions. ESTOPPEL. The rule of law which precludes a person from denying certain facts because of previous inconsistent conduct or statements. EXECUTION. An order issued by the Court commanding a Sheriff, Court Officer or Bailiff to seize sufficient property belonging to the debtor to satisfy the Judgment obtained by the creditor. EXEMPT. A description of any property that a debtor may prevent creditors from recovering. FACTOR. A term which refers to a person or entity which, to facilitate accounts receivable financing, makes an outright purchase of the manufacturer's accounts receivable. The purchase and sale of the accounts receivable is called factoring. FICTITIOUS TRADE STYLE (TRADE NAME). The title utilized by a business in lieu of the actual names of the individual owners or partners, or, in the instance of a corporation, the common usage of a name different from the formal title registered with the state. FILED ANSWER. A debtor's formal response to a complaint. FORCED SALE. A sale made under a court order and in the manner prescribed by law. FORECLOSURE. An option of the secured creditor, upon default by the debtor, to orchestrate the sale of the mortgaged property in order to satisfy the outstanding obligation. FOREIGN CORPORATION. A corporation created under the laws of another state. FORWARDER. A person who or an entity which, as the agent of the creditor, refers claims to attorneys for collection. A forwarder may be an attorney, a collection agency, a credit bureau, a credit insurance company, or any other entity which acts on behalf of the creditor as its agent, in the referral of claims for collection. FORWARDING CONTRACT. The agreement entered into between the creditor (or the forwarder as the agent of the creditor) and the receiver, specifying the commissions and other terms and conditions upon which the forwarder is offering the claim to the receiver for the purpose of effecting collection of the claim. The forwarding agreement may incorporate the Operative Guides of the Commercial Law League of America. FRAUDULENT CONVEYANCE. The illegal transfer of property or assets, the intention of which is to defraud creditors or to avoid payment of an obligation. FRAUDULENT TRANSFER. A transfer of a debtor s property made with intent to defraud or for which the debtor receives less than the transferred property s value. GARNISHEE. One against whom process of garnishment is issued. This individual or company has possession of money or other property, belonging to the debtor, but subject to court directive. GARNISHMENT (WRIT OF GARNISHMENT). A directive from a court or other related authority directed to a third party who owes money or property to a judgment debtor not to pay or surrender the property to the judgment debtor but to deliver it to the judgment creditor for use in either satisfying a judgment (post judgment garnishment) or to be held as security for a debt (prejudgment garnishment). Typically garnishment is used in aid of execution or attachment. A writ of garnishment is issued pursuant to state law. The requirements vary from state to state. GUARANTOR. An individual or entity who undertakes responsibility for an obligation of another. GUARANTY. Generally a written agreement between a creditor and a guarantor which sets forth the terms and conditions under which the guarantor will pay the debts of another person. HEARING. A preliminary examination, by a judicial body, of pertinent facts presented by opposing parties: usually a prelude to actual trial. HOLDER IN DUE COURSE. A bona fide holder who takes a negotiable instrument (i.e. check, promissory note, etc.) for value, in good faith, without notice of it being overdue or of possible defenses. INDORSEMENT. The signature of the person transferring a negotiable instrument. INJUNCTION. Word used to describe an order of the court directed to another person forbidding them to do some act or in some cases requiring that person to act. INSOLVENT. A term used to describe the negative financial condition of a person or business when they have an inability to pay their debts as they become due. A person is insolvent when their liabilities exceed their assets. INTERROGATORIES. A term used to describe a form of discovery in a lawsuit. They are written questions served upon one party by another party for the purpose of obtaining factual information in the lawsuit. The answers to interrogatories must be in writing and answered under oath. JUDGMENT. An award or opinion handed down by the bench or jury, in summary, after determining the merit of all facts and evidence submitted by opposing parties. JUDGMENT PROOF. A term used to describe a judgment debtor who is believed to have no assets from which a judgment could be satisfied. JURISDICTION. The authority by which courts are empowered to hear and determine controversies. KEEPER. A court appointed officer, directed to the defendant's place of business for the purpose of seizing the debtor's assets to satisfy a judgment. LAW LIST. A publication which lists the names, addresses and telephone numbers of receiving attorneys and law firms. LEASE CONTRACT. A written agreement by which equipment or facilities are provided on a rental payment basis, subject to the terms and conditions mutually assented. This agreement allows the lessor to retain rights and title, and the lessee has user ability without large capital expenditure. LEGAL COMPOSITION. A term which refers to the type of organization under which a legal entity conducts business, i.e., proprietorship, partnership, corporation, etc. LETTER OF CREDIT. A guaranty of payment, either revocable or irrevocable, in letter form generally supplied by a financial institution to another party. Payment pursuant to a letter of credit will only be made in accordance with the terms set forth in the letter of credit and the submission of proper documentation. The term "standby letter of credit" refers to a guaranty, provided by the debtor's bank or some other financial institution directly to a creditor, pledging satisfaction of the balance due the creditor, should the debtor default on terms of payment. LEVY. A legal term which refers to the process by which assets are seized pursuant to a writ of execution or writ of attachment. LIABILITIES. Debts or obligations due. LIABLE. Held responsible according to law. LIEN. An encumbrance on particular assets, utilized as security in the extension of credit, or after the recording of a judgment. LIMITED PARTNERSHIP. A type of legal entity created by statute. It consists of a general partner(s) who is responsible for the operation and management of the business and a limited partner(s) who does not participate in the management and control of the partnership. The limited partner in exchange for giving up management and control of the partnership is not liable for the debts of the partnership. LIQUIDATION. The orderly sale of assets and other properties for disbursement among creditors. LISTEE. A lawyer or law firm listed in a law list. MORTGAGE. A written agreement granting an interest in real property as security for a debt. A mortgage is usually foreclosed by a judicial proceeding. MOTION. A request or petition to the court, usually in written form, relative to a ruling on a point of law. MOTION TO LIFT THE AUTOMATIC STAY. A request by a creditor to allow the creditor to take an action against a debtor or the debtors property that would otherwise be prohibited by the automatic stay. NON-CONTINGENT SUIT FEE. Money sent to the attorney for filing a law suit. The money is kept by the attorney whether or not the debt is collected. NULLA BONA. Return of writ of execution by the sheriff after a search has been made and no assets found. It usually triggers the right to: Supplementary Proceedings  An attempt to enforce a judgment after the normal method of execution has failed. This allows the plaintiff to examine the judgment debtor under oath in order to obtain information regarding property owned by the debtor. OBJECTION TO DISCHARGE. A trustee s or creditor s objection to the debtor s being released from personal liability for certain dischargeable debts. OBJECTION TO EXEMPTIONS. A trustees or creditor s objection to a debtor s attempt to claim certain property as exempt, i.e., not liable for any prepetition debt of the debtor. OUTLAWED ACCOUNT. A claim or account that cannot be pursued through the courts by virtue of its age. Statutes of limitation will vary from state to state. PARTICULARS (ALLEGATIONS). The factual statements set forth in a plaintiff's complaint or in the defendant's answer. PARTNERSHIP. A form of legal entity created by statute wherein two or more parties conduct business as co-owners. PERFECTION. The proper recording or filing of an instrument, thereby giving notice to the world; usually applied to the perfecting of a security interest under the Uniform Commercial Code. PERSONAL GUARANTEE. Person(s), usually an officer(s) of a corporation, who will guarantee payment in the event the corporation defaults on the obligation. PETITION. A formal application or request submitted to the court for consideration. PLAINTIFF. The initiating party in a court action. PLAN. A debtor s detailed description of how the debtor proposes to pay creditors claims over a fixed period of time. PLEADINGS. Written contentions presented by opposing parties, identifying their respective position in an action at law. POSTDATED CHECK. Check bearing a future date. Not considered valid until that date is reached. POWER OF ATTORNEY. The written authorization, allowing one to act for another in a legal capacity. PREFERENCE (PREFERENTIAL PAYMENT). A term primarily used in the bankruptcy court which refers to the act of paying one creditor to the exclusion of or disproportionate to other creditors. PREFERRED CREDITOR (SECURED OR PRIORITY CREDITOR). An individual, organization or entity holding a security interest or claim of priority status. PRIMA FACIE. Evidence sufficient in law to establish a fact unless rebutted. PRIORITY CREDITOR. A term most commonly used in bankruptcy proceedings. It refers to a creditor whose claim falls into a class of claims which as a class receive payment prior to the claims of general unsecured creditors, i.e. taxes, wages, and rents. PRO RATA. An equal share or proportionate share of debtor's assets after liquidation. PRO SE. Without the benefit of counsel; the act of speaking or representing oneself in a court of law. PROBATE. A court proceeding utilized to administer the estate of a deceased person. A will which is deemed to be valid is admitted to probate. An executor or administrator is appointed in a probate proceeding. PROCESS SERVER. Person over the age of 18 who delivers a summons and complaint. PROMISSORY NOTE. A formal signed pledge, binding the maker to tender specific payments in accordance with an expressed schedule. PROOF OF CLAIM. A written statement filed by a creditor in a bankruptcy or probate proceeding setting forth the amount claimed due and owing to the creditor from the debtor or the estate of the deceased person. PROPRIETORSHIP. Sole and exclusive ownership of a business. QUID PRO QUO. The exchange of one valuable thing for another. REAL PROPERTY (REAL ESTATE). A term which is used to describe land. Real property is transferred by a deed. All other property is known as personal property. RECEIVER. 1) A neutral third person appointed by a court to take possession of or manage property which is involved in litigation. A receiver is appointed pursuant to state law. The grounds for appointing a receiver vary from state to state. A receiver operates under the direction and control of the court. 2) An attorney to whom an account is referred for collection by a forwarder, and who is thereby employed, as attorney for the creditor, to collect the same. Upon acceptance of the claim for collection, the full attorney-client relationship exists between the receiver and the creditor. RECEIVERSHIP. A voluntary or involuntary position taken by, or forced upon, the debtor, allowing the control of the business by a neutral third party. RECLAMATION. An action undertaken by one having a security or ownership interest, in an attempt to obtain possession of property held by a debtor or trustee; also, an action undertaken by a seller of goods to reclaim such goods from an insolvent debtor, usually a debtor in bankruptcy or receivership. RECORD. The act of filing a document in the office of the Recorder for a particular county or with the Secretary of State, the effect of which is to give notice to the world of the existence of that document and the claim of interest or rights set forth in that document. Typical documents which are recorded are deeds, mortgages, mechanics liens, judgments, etc. REHABILITATION (OF A DEBTOR). A wage earner's plan; a type of partial bankruptcy where a debtor keeps property and pays a court-established proportion of a debt. REMITTANCE. When a debtor makes payment to the attorney, the attorney puts the money into his account to clear. After it has cleared, the attorney makes a remittance to the forwarder, which is less his commissions. REORGANIZATION (UNDER THE BANKRUPTCY CODE). A plan approved by the Bankruptcy Court which implements the debtor's restructuring of its financial affairs. REPLEVIN. A type of legal proceeding to recover possession of personal property unlawfully taken or unlawfully held. It is commonly filed by a secured creditor to recover possession of his collateral. In some states this proceeding is referred to as a "claim and delivery proceeding." RES ADJUDICATE (OR RES JUDICATA). A matter which has been decided. This is a legal doctrine to the effect that once an issue has been finally decided between the parties of a court of competent jurisdiction, it cannot thereafter be litigated by those parties in a new proceeding before the same or any other court. RESCIND. To recall, void or cancel an agreement. RETAIL CLAIM. See Consumer Claim. RETAINER. A sum of money paid in advance to retain the services of an attorney, which sum should be taken into account in determining the ultimate fee to be charged for services rendered and results obtained. RETURN. The report submitted by a court officer, identifying the actions taken to enforce a judicial order. SATISFACTION OF JUDGMENT. A document by plaintiff's counsel, giving evidence that a previously awarded judgment is satisfied. SCAM OPERATION. A business formed for the express purpose of obtaining credit, procuring product, and defrauding creditors by misrepresentation. The principals of a scam operation have no intention of paying the suppliers or stabilizing the enterprise. SECURED CREDITOR. An individual or business holding a claim against the debtor that is secured by a lien on property of the estate or that is subject to a right of setoff. SECURITY. An item of value, the rights and title of which are pledged to another in order to obtain an extension of credit. SECURITY AGREEMENT. An instrument identifying the terms and conditions by which one pledges security to another. SETTLEMENT. An agreement to resolve a dispute. The term frequently results in a debtor paying a lesser sum of money or returning product to resolve a debt. SHERIFF. An appointment or elected county officer whose duties vary depending upon in which county and state he serves. The sheriff's duties may range from that of being the chief law enforcement officer to merely one who enforces judicial orders. SKIP TRACING. A service an attorney uses in order to locate the debtor. SOLVENT. The ability of an individual or business entity to meet financial obligations within terms. Simply put: assets exceed liabilities. STATUS REPORT. This is a regular report that the attorney must write to the forwarder informing him of each and everything that is being done to collect the file. STATUTE OF LIMITATIONS. The lawful time frame, varying state to state, for judicial pursuit of obligations, debts and/or encumbrances. A creditor who fails to bring formal action within the parameters set down by the debtor's home state is barred from legal recourse. STIPULATION. A course of action, mutually agreed upon by opposing counsel. SUBORDINATE. To assign a claim or account a lower priority than other obligations. SUBPOENA. An order by the court, compelling the attendance of an individual, or representative of an entity, in court for the purpose of providing testimony. SUBPOENA DUCES TECUM. A subpoena incorporating not only the appearance of an individual or representative of a business, but also the requirement to present all books and records relevant to the action. SUBROGATION. The substitution of one person in place of another with reference to a lawful claim so that the person who is substituted succeeds to the rights of the other party. The most common form of subrogation is an insurance company who pays a loss to its insured. The insurance company is subrogated to the rights of its insured and may sue the party who caused the loss. SUIT FEE. An attorney's compensation for the preparation and filing of a lawsuit. Depending upon the nature of the suit and other relevant factors, an attorney's suit fee may be all contingent, partially contingent, entirely non-contingent or simply a minimum flat fee. SUIT REQUIREMENTS. Items which must be provided by the creditor in order for a lawsuit to be instituted; these requirements should be set forth by the attorney at the time suit is recommended, and usually include an advancement for court costs and an agreement on suit fees to the attorney, as well as necessary paperwork and documentation. SUMMARY JUDGMENT. A pre-trial motion where the moving party attempts to show the court that there are no material issues of fact to be determined at trial and therefore judgment should be entered as a matter of law. If the motion is successful, judgment will be granted without the necessity of a trial. Trials are only conducted for the purpose of determining the facts and if it can be established that there are no material issues of fact, then accordingly there is no need for a trial. SUMMONS. A notification, served upon the defendant by an officer of the court, identifying a duly filed action taken against him and requiring him to answer by a specific date. A Rule to Show Cause (as to why the debtor should not be held in contempt of court, commonly known as a Rule). A Writ of Body Attachment (physical arrest of a debtor). SURETY. A person who agrees to be liable for the debt or contractual obligations of another. TRIAL DATE. Once the lawsuit is filed, the court sets a trial date when the matter will be heard by a judge. TRUSTEE. One who holds the legal title to property for the benefit of another. UNSECURED CLAIM. A claim or debt for which a creditor holds no special assurance of payment, such as a mortgage or lien; a debt for which credit was extended based solely upon the creditor s assessment of the debtor s future ability to pay. Also, the person appointed or required by law to execute a trust. USURY. The body of law which makes it illegal to charge interest above a stated rate. Many states do not have usury laws. The result of charging interest in excess of the allowed amount (usurious rate) varies from state to state, and may include assessment of penalties, total disallowance of interest or reduction in the rate of interest. VENUE. The geographic location of the court where a lawsuit may be filed. Depending upon the circumstances, there may be more than one venue in which a lawsuit could be filed. WAIVER. The relinquishment or refusal to accept some right or benefit. A waiver may result from an express agreement, by the act of a party or by failure to take appropriate action when required. WRIT. Directive of the bench, requiring the sheriff/constable or other court officer to implement a court order. CAUTION: The definitions appearing in this glossary are not exhaustive of all definitions of a particular word. They are intended to provide a simplified common definition for use by non attorneys. This pamphlet should not be relied on as legal advice. If questions arise consult an attorney.